Another question I have not been able to find a decent answer to. Pink and White Cerium Oxide. I believe the pink has Praseodymium added but what effect does this have? I am guessing it is actually Praseodymium oxide. When would you use one over the other? I don't know anything of praseodymium but generally I do a lot of trial and error to work out what's best with polishing. Keep in mind, sometimes its not just the polishing compound but the polishing pad material that may bring improvements eg. a leather pad gives a better result for me than a canvas pad for quartz-based cabs. Greetings Glot, the reason for the color is at a glance you can tell what grade or average size of particle. Pink Cerium Oxide is standard grade 1.5micron (about 17,500 equivalent grit). White Cerium Oxide is premium grade 0.5micron (about 50,000 equivalent grit). also called French Cerium Oxide or Super Cerium Oxide. 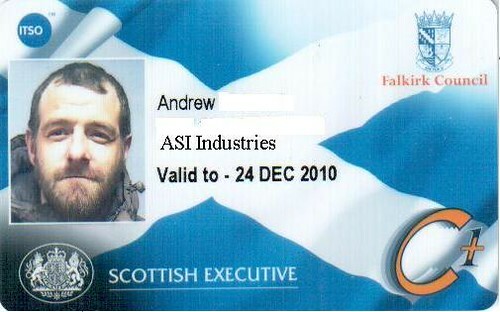 ASI Industries = As i in does tries! : My definition. a greater chance of success than never trying at all! Aussie Lapidary Forum: Rock Tumbling Guide! The colour is more of a purity issue - ie. some types have had other trace amounts of other rare earth metals removed which is part of the reason for the higher price. To answer the original question, it is not that the pink has had anything added - more that it has not been removed. Cerium comes in a variety of particle sizes. Dont take the 1.5 micron as gospel. The type we sell is 2.0 micron. Other suppliers may have slightly different specs. Because we sell to glass artists and scratch repairers as well, we use suspension treated cerium. So you will see tiny "crystals" in the product which can be a bit alarming but these dissolve in water and help keep the cerium in suspension for longer. Thenk you Fullerton for that info - I saved that on a link many years ago but lost it when the website went down. Good to have it as reference again. I use the white one, which I have seen referred to as facetors CO and super CO, for faceting. It gives very good results when used sparingly. At the club they have the pink one which is used in the cabbing room on leather and also gives generally very good results, particularly on harder stone like mookaite and agate, again, it is used sparingly. A little friction heat seems to assist with the polishing when using CO.
Not actually true - that is just how the rare earth minerals look when they are refined to various degrees - the pink is most common with the white being refined to a higher level. We call it cerium oxide as the main ingredient but there are often trace amounts of other rare earths in there - eg. thorium. Tin and Aluminium Oxide are different materials. Rule of thumb (guideline only) is that cerium is generally good for stone in the 6 to 7 hardness range (which does include the quartz group) - if you are working with harder material at 8 hardness (often topaz, garnet or beryl), then you need tin or aluminium oxide. 9 Hardness stone (ruby or sapphire) of course needs diamond which may or may not work better than oxides on softer material as well. Rather a long time ago someone suggested pink cerium oxide to get from an ophthalmologist for polishing opal. I get a small jar which has lasted and still have some. I had the impression that this was a finer grade and this is why ophthalmologists use it for polishing spectacle lenses. Rightly or wrongly I have been happy with the results except when polishing boulder opal where the matrix is often a bit porous and the cerium oxide does not polish off. I use diamond spray for polishing boulder opal. I have copied the Fullerton list for future reference. Thanks Fullerton. I went to revisit a place called Gem-Afia in Bandung a couple of days ago as they have the most fabulous collection of petrified wood and boulders of semi precious jaspers, jade and other stuff. Thought I would buy some tin oxide while I was there but the owner, Miko says they only use Chrome oxide for their polishing as other oxides are too expensive in Indonesia.